Harvey Gamage students are safely ensconced in Santo Domingo, Dominican Republic and are now at work on a service project in the small island community of Hato Nuevo. Stay tuned for more information as it arrives, and some great photos, too! 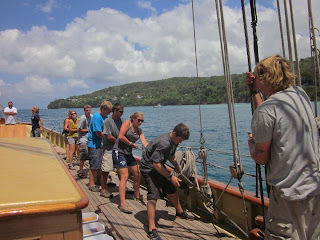 Schooner Virginia cleared in to St. Thomas late last week and is now anchored near the small island of Culebra, a Puerto Rican municipality located approximately 17 miles (27 km) east of the Puerto Rican mainland, 12 miles (19 km) west of St. Thomas and 9 miles (14 km) north of Vieques. 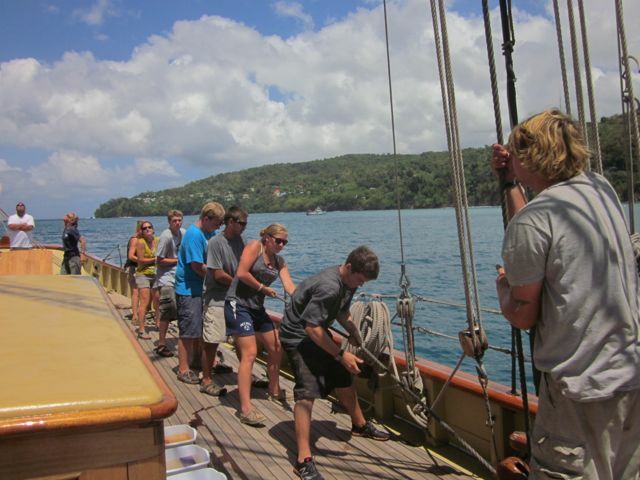 While on island, students will visit a local school, explore the natural beauty, snorkel the island's many reefs and enjoy the laid back atmosphere of this small Caribbean island.